India’s firecrackers manufacturing hub in Tamil Nadu town is shut down in order to control and clean India’s working capital air. The town is also known as mini Japan (Kutti Japan) for its industrial activities while providing an income source for nearly 8 lakh people with 85% of the fireworks of India. 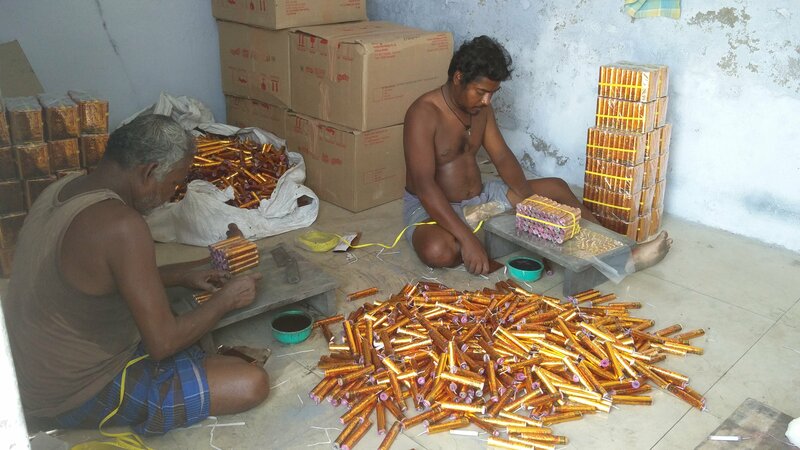 TANFAMA (Tamil Nadu Fireworks and Amorces Manufacturers Association) mentions that after the SC (Supreme Court) looking to ban the sale on firecrackers countrywide, no dealers of the industry are making advance payment while the industry largely depends upon advance for working capital. At such crisis, Tamil Nadu Fireworks and Amorces Manufacturers Association announces the closing of the manufacturing fireworks unit from December 26, 2017. The decision was concluded in Friday night’s meeting when the crisis was uncontrollable. Since last 80 years, the trade practices here with old norms where the dealers from the northern states make advance payment most likely after Diwali that helps the 90% of the working capital to starts its process for the 820 units based on around 480 km of the town from Chennai. Bank loans and funds further help meet the rest of the 10%. K Mariappan, the secretary of TANFAMA mentions that the petition in the top court with regards to the ban of firecrackers sale is pending while fearing the dealers from making advance payment for its contrary judgment. This drastically affects the functionality of the manufacturing unit. Mariappan also states that Chandigarh, Haryana, Punjab, Delhi NCR and others have suffered from huge loss and are bankrupt due to the Supreme Court orders banning the sale of firecrackers Pre-Diwali. TANFAMA to plan its further action is organizing a meeting in Sivakasi with AIFFA (All Indian Federation of Fireworks Association) on December 28. Labor Union representatives, Raw Material Suppliers, Sales Agents, Transporters, Manufacturers and many others are invited to chalk out a solution for the industrial survival.